A Firearm offence can happen to anyone who is in possession of a firearm. Offences can range from improper or careless storage to assault with a deadly weapon. It is important that you understand your rights and responsibilities when it comes to acquiring and possessing a firearm. If you are charged, firearms weapons offence lawyers help defend you against criminal prosecution. Firearms and weapons offences are governed by the Firearms Act and the Criminal Code of Canada. These can include: Use of firearm offences, weapons possession offences, and trafficking offences. At Kahane Law Office in Calgary, firearms weapons offence lawyers are available to help with such charges. Non-restricted firearms are firearms which do not require registration and are not prohibited. Non-restricted firearms most commonly include long guns. Examples of these are shotguns and rifles. Restricted firearms require a firearms licence valid to possess or acquire restricted firearms and obtain ammunition. Also required is a registration permit to acquire, and pre-authorization to legally transport the firearm. Individuals must store, display and transport their restricted firearms according to the applicable regulations. Prohibited firearms are weapons that are illegal to own in Canada unless the owner was grandfathered in under Section 12 of the Firearms Act before the weapon was prohibited. Prohibited firearms include handguns that have a barrel equal to or less than 105 mm in length or those designed or adapted to discharge a 25 or 32 calibre cartridge, automatic firearms, Tasers, and any firearm prescribed to be a prohibited firearm (A complete list can be found in the Criminal Code of Canada). Also included are firearms adapted from a rifle or shotgun by sawing or cutting the weapon– better known as a ‘sawed-off shotgun’. An adapted firearm will be considered to be prohibited if it is less than 660 mm in length or is 660 mm or greater in length and has a barrel less than 457 mm in length. There are several types of offences relating to weapons offences. They may be added to additional charges such as Assault or Theft or they may stand alone. For example, the offence of Theft will be changed to Robbery if a weapon was used in the commission of the offence. The Criminal Code provides a definition of a weapon under section 2. Almost anything can be considered a weapon if the object used causes injury or death to any person, or results in a person feeling threatened or intimidated. A regular cup of coffee can become a weapon if the person holding it uses the mug in a way where they intend to hurt someone else either buy throwing it at them or by hitting them with it while it is still in their hand. The Criminal Code provides a list of prohibited weapons. These can include tear gas, pepper spray, brass knuckles, nunchaku, and switch-blades, among others. The following are some of the criminal code offenses that involve firearms. These break down into categories for easy reference. Firearms weapons offence lawyers are able to help with each of these situations. 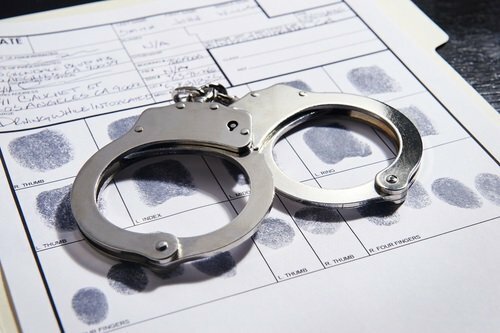 In some situations, clients are charged with more than one of these criminal charges. In order to be found guilty, the Crown must prove certain elements of the offence. The Crown needs to prove that the firearm or weapon in question meets the legal definition provided in the Criminal Code. Firearms weapons offence lawyers know how to see the crowns evidence early on. Further, the crown will take into consideration whether the firearm was loaded or if there was readily accessible ammunition. In regards to possession, the Crown will need to establish that the accused knew about the firearm and had control of it. One thing that firearms weapons offence lawyers look for is errors. There may have been a mistake regarding the registration or licensing which needs to be brought to the Crown’s attention. Finally, Charter of Rights and Freedoms issues may arise regarding how the firearm was seized which could result in the evidence (the firearm) being excluded from trial if there was a Charter breach. Weapon offences often carry mandatory minimum sentences. In Canada, certain offences have mandatory minimum sentences that must be imposed with little to no room to negotiate. For example, if you are found guilty of unlawful possession of a prohibited or restricted firearm, you could face a significant jail sentence which could also result in DNA seizures, travel restrictions (Especially to the United States), lifetime weapon bans, and could result in serious consequences to your employment or immigration status so it is important to contact a firearms weapons offence lawyer as soon as you become aware of the charges in order for you to understand what options are available to you. Firearms weapons offence lawyers in Calgary can help when you are charged with a related criminal code violation. We understand that many law abiding Calgarians own firearms for sport, recreating and that form part of collections. In every case, we will look at the charge, the evidence and how to best represent you in front of the court. Call us today at 1-877-225-8817 (or 403-225-8810 locally in Calgary, Alberta), or email us directly here.